Initiated and led by Derek Hoeferlin in 2011, Deltas +Watersheds (D+W) is a multi-year research effort that investigates complex issues of water management in relation to design. The ambition of (D+W) is to network comparative deltas and watersheds around the world in an effort to transfer knowledge among them – legibly in a visually graphic manner. The first step is to seize upon current Global Positioning System (GPS) mapping capabilities by locating conditions within river systems from their sources to their mouths. Multiple modes of on-the-ground documentary methods of watersheds – beginning with geo-referenced photography and correlating stationary video – will be exactly located and virtually re-presented within this open-source, internet-based medium of an interactive map. This methodological baseline representation of complicated water situations of multi-national significance is intended to offer a simple foundation for further research and varied representational studies for comparative purposes among multiple disciplines. The first deltas and watersheds that Derek has begun to geo-reference are the Mekong, Mississippi and Rhine-Meuse watersheds. 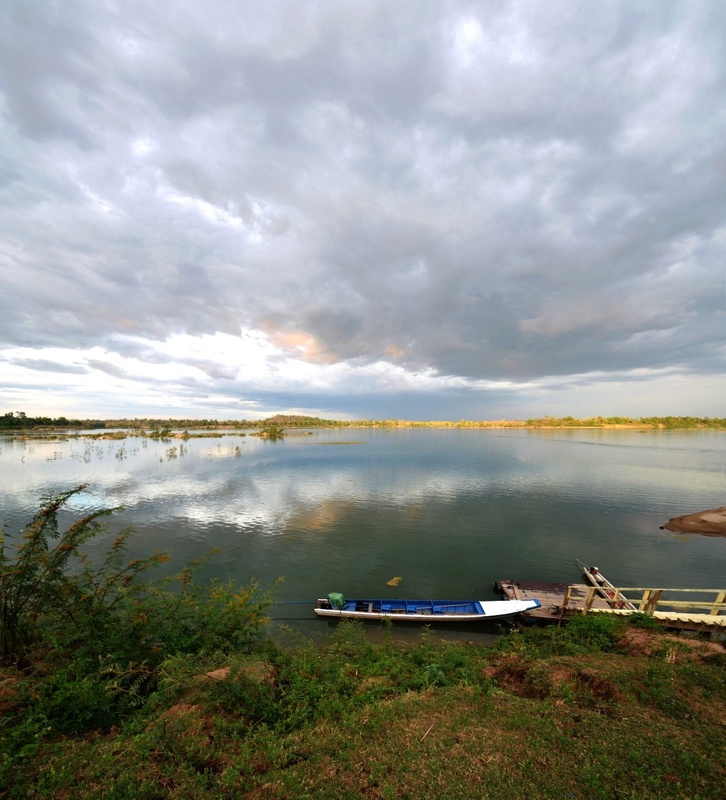 Currently and primarily focusing on the Mekong, central to the studies will be tracking the power of the river system. Not just from a natural standpoint, but also the constant physical and political manipulation by humans of the main stem river, its tributaries; and, its watershed. Currently in Phase 1, (D+W) is intended to be a multi-year initiative set within a global multi-disciplinary network.